Visit Kamakura and Yokohama, two contrasting cities, on this 10-hour private taxi tour from Tokyo. Kamakura is an ancient city sprinkled with many must-see temples and shrines while Yokohama is a modern and dynamic city full of quirky architecture. Construct your own itinerary and let the English-speaking driver handle the rest! The driver will pick you up at your chosen location within Tokyo's 23 special wards. Your pick-up time between 08:00~11:00 is flexible and can be coordinated in advance with your host (09:00 will be the default if you do not select a time.) What you see and do after that is entirely up to you. Depending on your interests, you might want to explore in depth the Buddhist temples and shrines in Kamakura such as the Daibutsu ('Giant Buddha'), Tsurugaoka Hachimangu Shrine and Hasedera Temple. If shopping is what you're interested in, then Komachi-dori street, a pretty avenue of around 250 shops and cafes, is recommended. 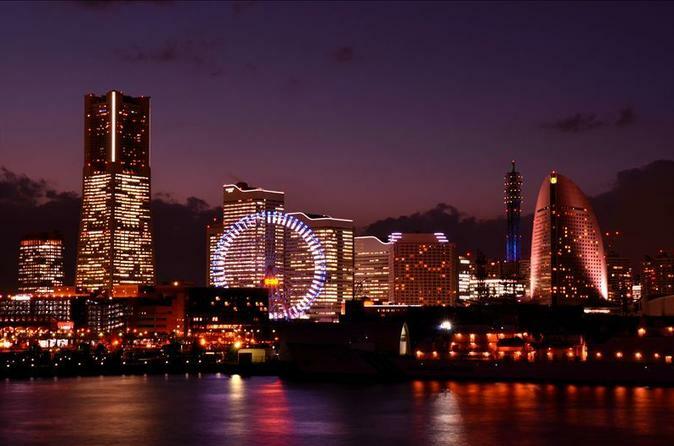 In Yokohama, you might want to experience the city's modern vibe through its eclectic mix of architecture including Yokohama Bay Bridge, Yokohama Red Brick Warehouse and the Cup Noodles Museum or the international atmosphere afforded by one of the biggest Chinatowns in the world and the strong American influence that runs throughout the city. Check out the example course below for an idea of the type of day you could have. Your driver can help recommend the most efficient route and suggest potential highlights if you need help deciding. At the end of your multi-city excursion, you’ll be dropped off at your chosen location in Tokyo in the evening.